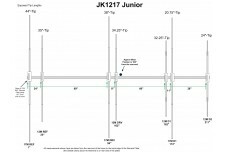 JK1217jr - Yagi antenna of 3 elements for the 17 m band and 4 elements for the 12 m band on a 18 feet (5.49 m) boom. 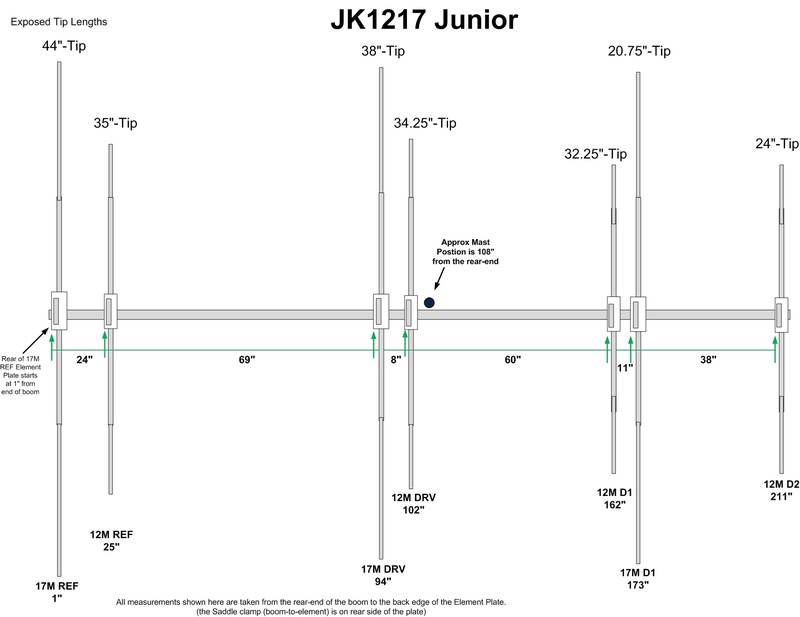 The JK1217 Junior Warc antenna was designed as a simple dual band Yagi that performs amazingly on 17 m and 12 m and on a smaller boom. 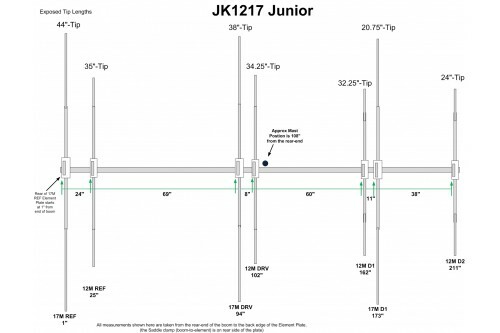 This single feed point Yagi performs like a champion giving great gain and F/R while keeping SWR low on both 12 m and 17 m.
This interlaced yagi gives the best performance at par with any 3-element monoband Yagi in its class on 17 m and 4-element monoband Yagi on 12 m.